Slotted track bolts with rivved necks are a round head bolt with a slot that extends across the center of the top of the head dor driving. Directly below the head, the shoulder has vertical rivs that proture out from the screw's shank, giving that section a greater diameter than the threaded portion of the fastener. 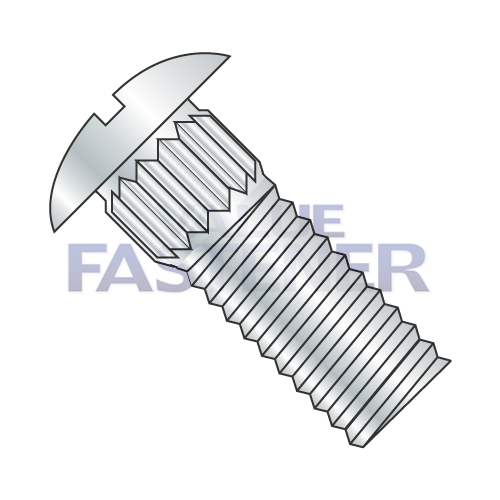 Slotted track bolts are designes specifically for use in the installation of garage doors.